We love paddleboarding. We love New Hampshire. Let us share that with you. The back channels of Portsmouth harbor. Rivers teeming with birds, beaver and otter. Loons, hawks and eagle on our beautiful lakes. Sunrises and sunsets on the water. 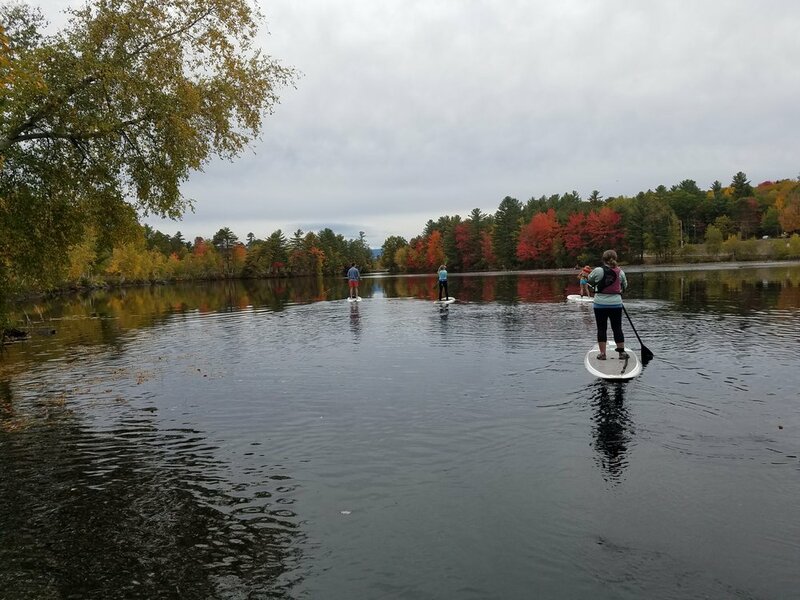 We can't get enough of seeing the beauty of the Granite State from a paddleboard, and we know you will love it too. 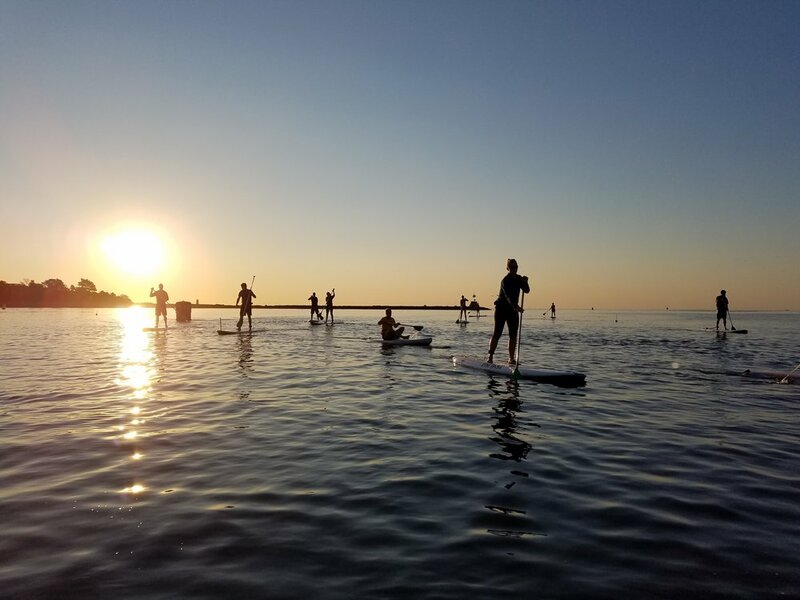 Adults or kids, experienced paddlers or newbies, we'll have you up and paddling in just a few minutes, and marveling at the views around and beneath you. Best of all, we come to you! Where do you want to paddle? What river, lake or inlet do you want to explore? And if you aren't sure, we have ideas! 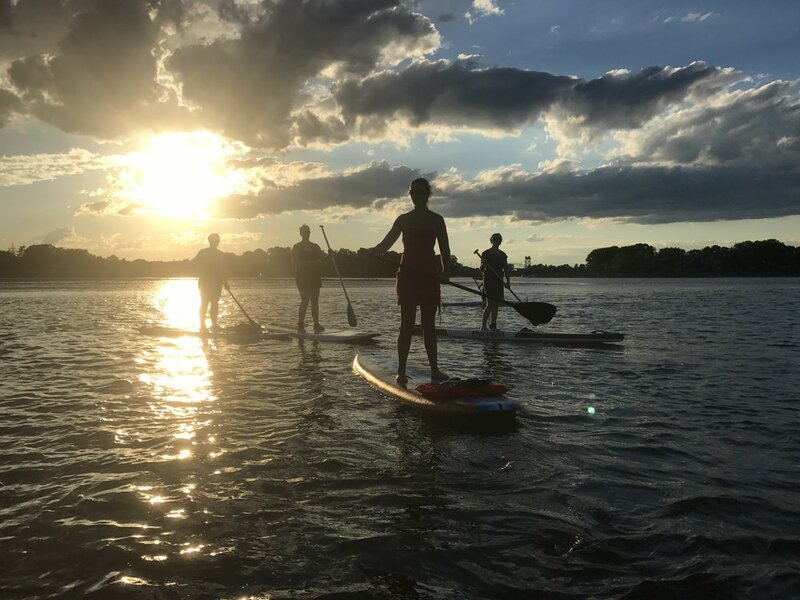 Let us recommend a paddleboard tour adventure customized for you and your small group. Our paddleboards are ready, you're ready - let's go! 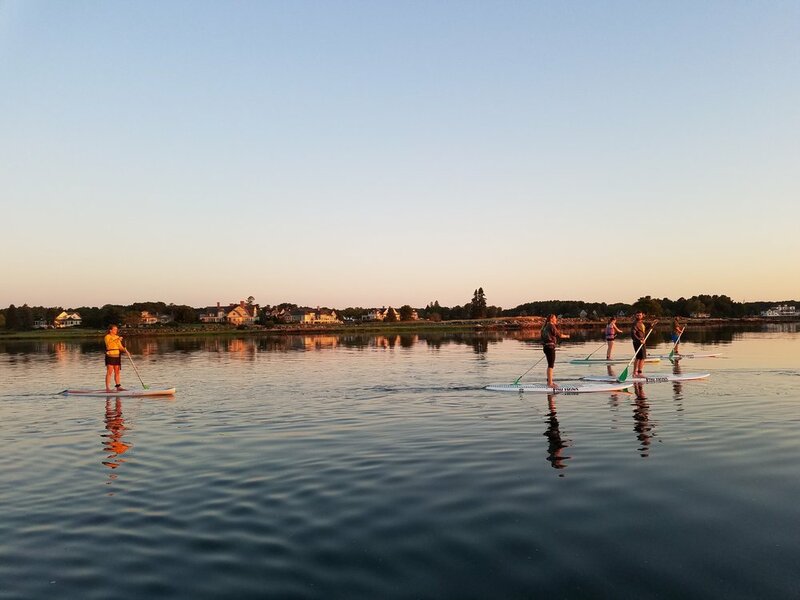 Join us on the NH seacoast waterways and make new friends on our scheduled paddleboard tours! Or if you want your own custom SUP adventure or lesson, we'll come to you! Want to explore the water on your own? Need some boards to liven up your lake or beach vacation? You rent 'em, we'll deliver 'em! Experience fishing in a whole new way! Our gear or yours, freshwater or saltwater, it's a whole new world of fishing on a paddleboard. Bass, walleye, striper or trout -- let's go get a lunker!